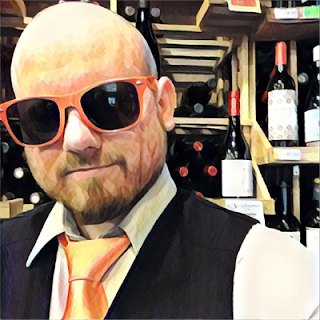 This "WINE" PICK of the month was written for the Luke's of Cape Cod website. It's the second annual "switch-your-picks April" at the Dennisport Luke's and this year the fine wine guy's got beer! Of course, you know that I've just got to tie it to wine somehow. I'm a wine guy, I can't help it. I'm also an enormous fan of wheat beer so the stars aligned for this one. Dogfish Head is one of my favorite breweries. That's not just because they love to reanimate ancient beers that warm the heart of the history geek inside me, but also because they love to do cool stuff like this. 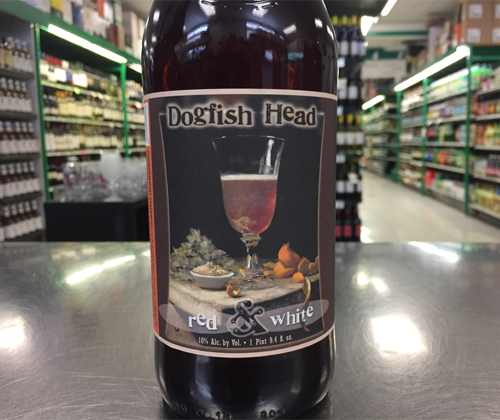 Their Red & White is an Imperial Wit that was brewed with coriander and orange peel, then fermented with the must of Pinot Noir and aged in oak. It's got a beautiful, hazy orange color. The aromatics are lively and orange peel is the dominant aroma with notes of wheat and coriander. It has a full body with a bready mouthfeel and a sticky sweetness from the high alcohol. The Pinot Noir really comes through on the palate with the fruit, the oak comes through just as much, and the other ingredients dance around in the background. This is an awesome beer to try if you're a wine lover that also appreciates its friend in fermentation.